Recently, Nintendo has made a habit of outsourcing or collaborating with other studios on many of its key titles, and it would appear that Wii Fit U is no exception. It's not known how deeply Ganbarion has been involved with development of the game at this stage. Pandora's Tower director Toru Haga recently praised the Wii U as "unique" and "exciting". 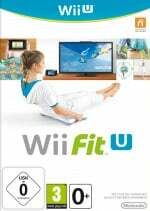 Wii Fit U is released in December, but you'll be able to download and play a one month trial version in November. Hope this means more JRPGs from them coming to the Wii U in the future. I'd love another Pandora's Tower game. ^Fully agree with pre-posters !! I will get Wii Fit U for sure. Wonder if he'll bring the dietary tips over from Pandora's Tower? @MrGawain Maybe they would have been enough to solve that girl's bodily problems... ^^ "Darling, no monster meat for you today. I brought Wii Fit for you!" On a serious note though, it's nice to see that the collaboration between both companies continues, which may increase to chance to see something more serious again in the future. If you don't work out enough, you start to turn into a hideous creature. Pandora's Tower was a great game. Would love to see Ganbarion bring something to the Wii U. Definitely picking this up. 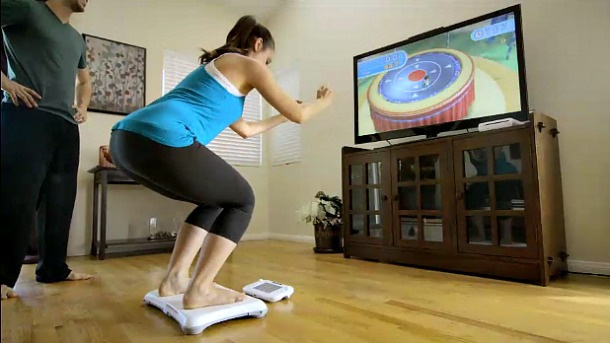 Already have the balance board, getting the WiiFit Meter -day 1. They probably helped out with the meat diets. I'm guessing help w/ the HD graphics is about the extent of their involvement. Nintendo seems to have a problem programming on their own console. First time I've seen that scuba diving screenshot. Reminds me of Endless Ocean, and I think it's new to the "Fit" series. New is good. I really like Ganbarion. Hopefully they can become close partners with Nintendo. Cool. Hope they come together to make a new game. Great to hear. I would absolutely love a new Pandora's Tower game in the future. If ganbarion can refine a few things, it'll be incredible. Pandora's Tower is the type of mature (in theme) game Nintendo should focus on. Will there be a minigame that lets you kill creatures and give the flesh to a girl? That screenshot! I just can't take this serious. What's she working out to? Ride the board staring at small screen to target? "I see you've got some flesh to sell..."
I started Pandora's Tower, beat the first tower and never touched it again. I got bummed after hearing there is a glitch near the end of the game. Still what I played was interesting and I hope they can do more games with Nintendo. I was trying to find out what this studio had been up to a week ago, I hope this partnership simply shows a greater involvement with Nintendo as opposed to being their primary output right now.